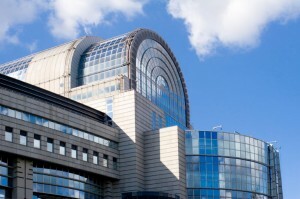 Europe is the second biggest democratic electorate in the world – 495 million constituents across 27 nations. There is a Parliament (which doesn’t have much effective power) packed with 785 MEPs all of whom are elected by a confusing form of Proportional Representation which means you don’t vote for the person, only the party. This may explain why Elections to Europe are shunned by so many voters. Anyway these MEPs are supported by 5,800 staff. Then there’s the Commission, which does have the power but isn’t elected by anyone at all. They run a budget of £950 million every year. And every year they are accused of mismanaging the budget. For instance the EU spent £14,400,000 on a study to show how its own administrative costs could be reduced! This expensive arrangement was made to satisfy the French. Strasbourg is in France. Brussels is the capital of Belgium. I wish I had the contract for shipping tons of documents from one place to the other every other month! There is also another body called the Council of Europe, set up just after the second World War. It has 47 countries on its books and meets as a very elaborate talking shop – I should know. I was appointed to the Council and have to attend its meetings. They are strange gatherings but immensely useful in order to get a real feel of the way other European MPs feel about current issues. You will be pleased to know that the UK delegation – which consists of MPs from all the parties – works together extremely well to defend Britain’s interests. 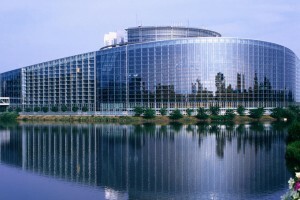 Strasbourg is also where the European Court of Human Rights is based. I am no fan of this institution and would much rather see our laws settled in the UK for our own citizens That is why I have always supported a referendum to let the British people decide our future role within the EC.